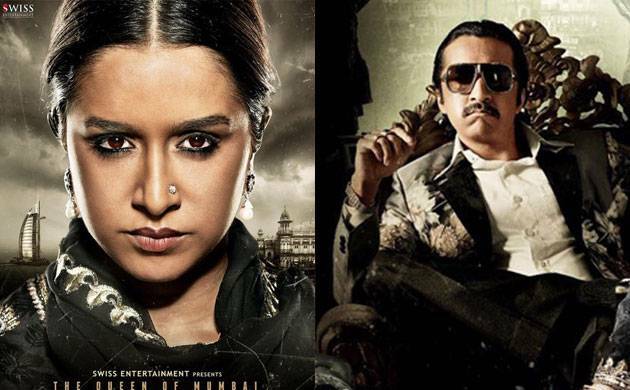 Shraddha Kapoor has introduced the first look of brother Siddhanth as underworld mafia don Dawood Ibrahim from her upcoming movie 'Haseena: Queen Of Mumbai'. The movie happens to be a biopic on Dawood's sister Sheikh Haseena which will be portrayed by Shraddha herself. Shraddha took it to Instagram to share her first poster with brother Siddhanth. In the picture, Sid is seen flaunting his mustached look as Dawood, while Shraddha's appearance as Haseena is giving chills to everyone with her kohled eyes and intense expressions. Shraddha captioned the image as, "#HASEENA #ComingSoon #ApoorvaLakhia". Interestingly, this is the first time the 'Aashiqui 2' actress will be sharing the screen space with her brother and she is excited about their first project together. "I am very excited and nervous because I've been thinking if I have to do a scene with him, I've to forget that he is my bhaiya. He is the character in the film who is also my brother. But ultimately I think it'll help that we are brothers and sisters. I hope that bond translates on screen," Shraddha was once quoted as saying. Helmed by Apoorva Lakhia, 'Haseena: Queen Of Mumbai' has just wrapped up and will hit the screens on July 14. Currently, Shraddha Kapoor is busy promoting her upcoming movie 'Half-Girlfriend' opposite Arjun Kapoor. Based on Chetan Bhagat's novel, the movie is slated to release on May 19 this year.